Unlike any of its mainstream UK rivals, Auto-Sleepers offers a range of Mercedes-based coachbuilt – six models in total, of which the Bourton has been up there amongst the favourites since launch, back in 2011. Needless to say, it’s had a number of subtle tweaks since. 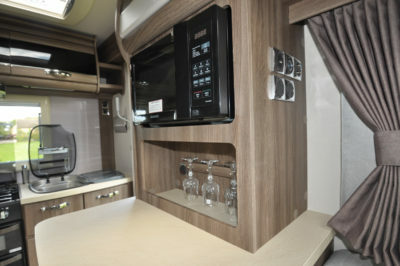 Auto-Sleepers’ work sees a reworking of a classic two-berth floorplan – the end kitchen and corner washroom means there’s more than healthy dollop of lounge towards the front. 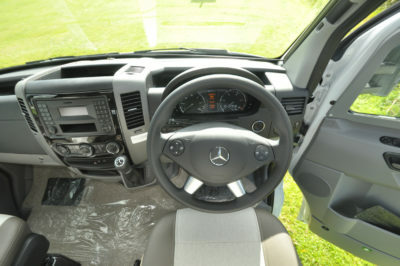 It’s the sheer living space that’s key, here, with the extra width that the Mercedes allows really enhancing things – aided by large side windows, a Heki Midi rooflight overhead and an opening sunroof to the cab. The lounge becomes the bedroom at night, where you can have almost-instant single beds or, with a bit of cushion shuffling and pulling together of the settee frames, a massive double. There are updates for the 2018 version, of course – a subtle change to the exterior graphics and a whole new back end. It’s a sculpted one-piece GRP panel with LED lighting, plus fixings for a bike rack at a low enough level to make sense when it comes to loading. Other enhancements are inside, where there’s smart new upholstery (in a choice of five colours; there’s also a floral alternative). Also, interior walls are now GRP – smarter and easy to wipe clean. That on-the-road price opposite includes the Premium Pack – an option that adds a very smooth seven-speed automatic transmission, alloy wheels, cab air conditioning, cruise control, Thule awning, reversing camera and an 80W solar panel. Similarly, habitation air conditioning is included as a “default option” – i.e. you have to opt out of having it, if you want to save yourself £1,000. Using Truma’s iNet, it’s fully programmable and will work in conjunction with the heating so you get a form of climate control, any time you want. The kitchen delivers more than it initially promises. There’s a Thetford Caprice cooker, with dual-fuel hob (three gas rings, one electric hotplate) and separate oven and grill. The stainless steel sink has space to its right to put the drainer. 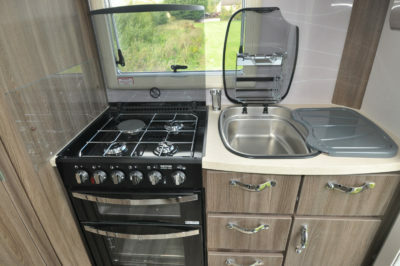 Other kitchen kit ranges from an extractor unit over the hob, to kitchen roll holder. Move across the habitation doorway and there’s a Dometic fridge with removable freezer box, a total 96-litre capacity. Plus, set over a recess housing four sherry glasses, is a Daewoo microwave oven. A locker above this has crockery racking and two bottle holders. 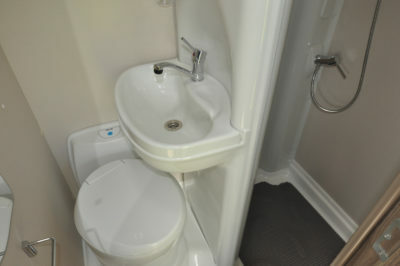 Squeezed into the offside back corner, the washroom has a space-enhancing hinged plastic bulkhead – swing it out and you get a shower cubicle, fold it back flat and there’s extra space for toileting. It means there’s nowhere to put a window, but you do get a variety of holders and hooks, locker storage and a retractable clothes dryer. Compromises? The fresh and waste water tanks aren’t the biggest. And it’s a bit of a shame, considering all the space elsewhere, that the lounge tables (choose between a free-stander for mealtimes and a smaller unit for coffee) only stow in the wardrobe. Offset that against features like the permanent gas tank (it saves money as well as space), lots of interior LED lighting (including spotlights and flush-mounted ceiling units), exterior skirt locker, external sockets (TV, barbecue, 230V electricity), Trackstar Leisure tracking system with one year free subscription, plus all the aforementioned luxuries. It all adds up to a driving licence-friendly maximum weight of 3,500kg, which still allows for plenty of payload, even if the price is far from light. But with the tracking device and reversing camera you should be able to claim some healthy discounts on your motorhome insurance! There’s more information on the Bourton on the Auto-Sleepers website www.auto-sleepers.com. 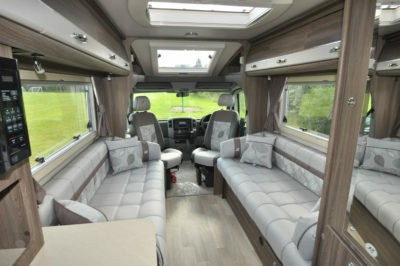 Find out more about insuring this or your current motorhome on our motorhome insurance discounts page. Safety & security Electronic immobiliser, remote central locking, ESP with Active Skid Control, ABS and EBD, twin airbags, smoke and carbon monoxide alarms, fire extinguisher, reversing camera, Hal Locate tracking system. 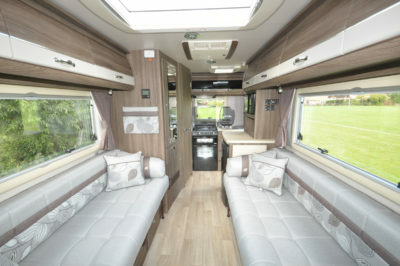 *Motorhome insurance cost based on Autosleeper Bourton motorhome retailing at £70,495 with electronic immobiliser and reversing camera and HAL Locate tracking system. UK travel only. Kept on driveway at home at TD9 8ED. Motorhome owners – professionals over 50 years old with no claims, convictions or health conditions in last 3 years. 4 years no claims bonus mirrored from car policy and 2 years motorhome driving experience. 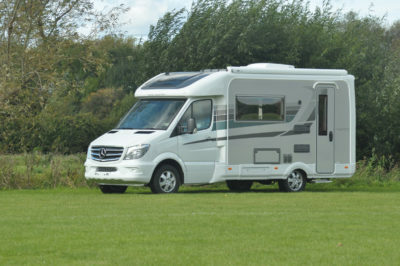 Members of motorhome club doing less than 5000 miles annually. £350 excess applies. Premiums include insurance premium tax at 12% and are correct at 18.10.17. We called our bourton rocky because that is what it was, especially on motorways either overtaking or being overtaking. It swayed almost uncontrollably. Thanks for sharing your feedback Al. What model is the Vantage? I can only see ones with sliding doors. Sorry Richard, what Vantage are you referring to? We are replacing the Rapido 746 motorhome we have owned for 12 years. 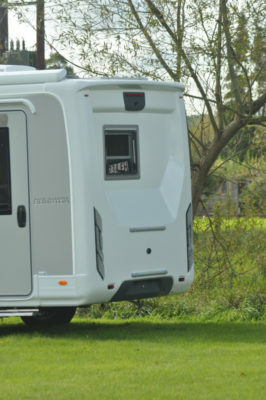 We have looked extensively at the market, and pretty well ALL the coachbuilts are on the Alko chassis, and several inches wider than our current van. This would make parking beside the house impossible, and would play havoc on the narrow roads we often encounter, both here (think Devon lanes) and abroad – Albanian and Bulgarian roads are VERY narrow. 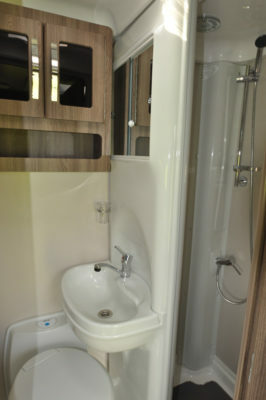 We hope you enjoy your new motorhome. What about battery sizes ( Amp hours) and tank sizes.